Do you have a passion for flight? 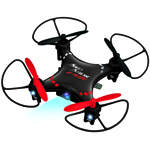 Do you love holding the power to take off, land, hover and flip all in the palm of your hand? Do you feel the need for speed? If you answered “yes” to any of those questions, you’ve found your home! Swift Stream RC is a hobbyist’s dream. We have a full range of exciting, remote-control, stunt-ready drones, cars, trucks, boats and buggies. More affordable than ever with many models under $100, you can now find the perfect model to set your imagination soaring. Swift Stream RC is a division of Abrim Enterprises, Inc. in business since 1987. The Abrim team is comprised of RC-enthusiasts with many years of experience in electronics and RC toys. Based in Woodside, New York, our remote-controlled products are sold around the world. In the U.S. you can find them in major retailers such as Walmart, Kmart, Sears, Menards and Fry’s Electronics. 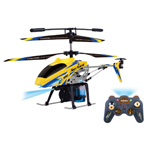 Our RC toys are manufactured in certified factories that maintain the highest quality standards and do third-party testing of all items before shipping. Our lithium-polymer batteries include a Protection Circuit Module (PCM) that prevents over-charge, over-discharge and short circuits. All of our drones are made of safe, RoHS (Restriction of Hazardous Substances)-approved materials. They’re built to last and even come with spare blades. Swift Stream RC, the Future Is Bright! The world of remote-controlled toys is rapidly evolving. Swift Stream intends to stay on the leading edge, providing hobbyists with the latest drones and tricked-out cars, boats and buggies. We’re continually seeking improvements in RC technology that provide features like more precise control, longer flight times, increased stability for photography and faster battery recharging. The future of RC is bright! Thank you for becoming a Swift Stream customer. We appreciate your business and value your loyalty. We look forward to serving as your #1 resource for remote-controlled fun!